We put at our customer’s disposal, the Paper Cutter (RC518-A4) that is acclaimed for being robust, innovative, user-friendly, energy efficient and durable. Furthermore, these Paper Cutters can be modified to match the variegated needs of customers. 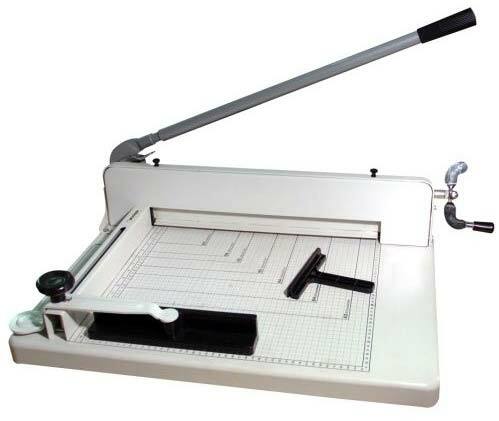 Global buyers can place with us bulk orders for these Paper Cutters, and we assure to charge reasonable prices. We are the dependable Paper Cutter Manufacturer, Exporter and Supplier from China. Cutting Thickness 45mm Max. .